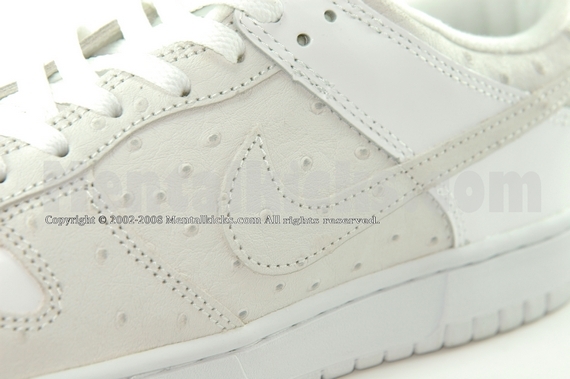 To celebrate the successful ¡§ Tokyo white dunk exhibition¡¨, nike released this pair of dunk low ID. 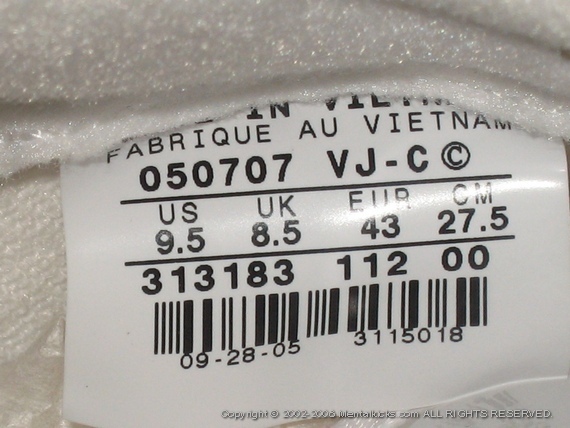 Less than 200 pairs were made. 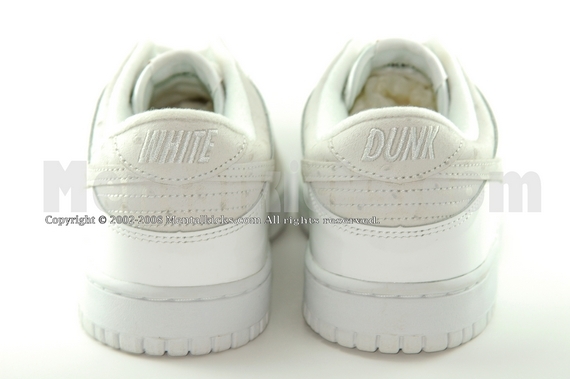 The back heel is ¡§WHITE DUNK¡¨ instead of ¡§NIKE¡¨. 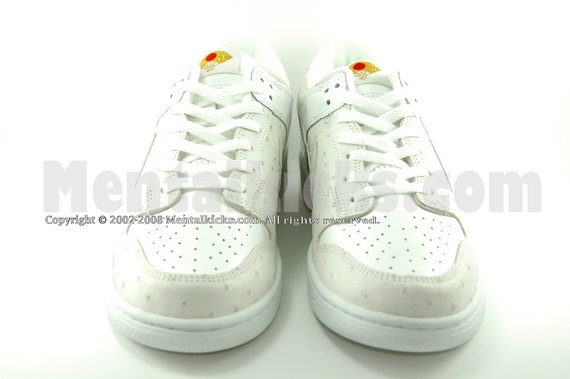 Shoes are made in white color with various different material such as patent leather and ostrich skin. 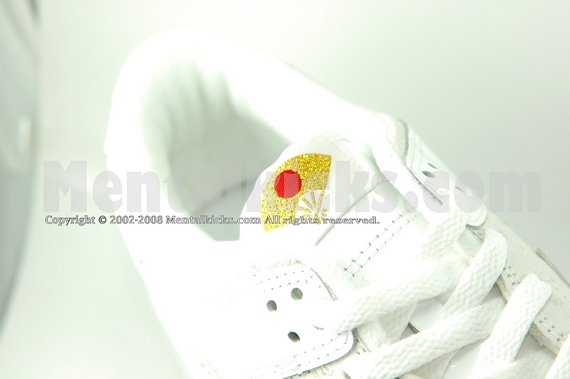 Also the tongue features a Japan flag logo. 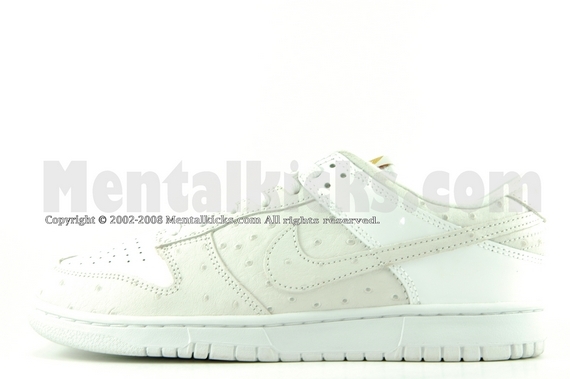 Therefore, this shoes represent Tokyo Japan white dunk exhibition. 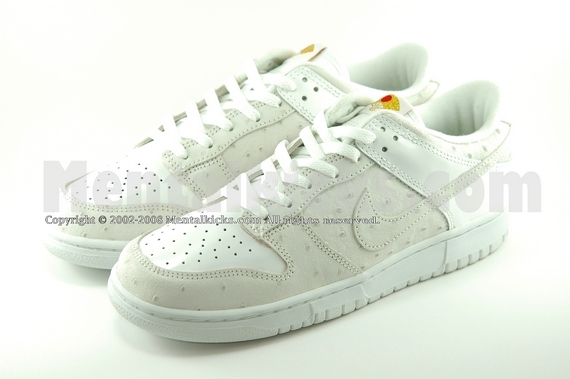 Comes with original box, dust bag, extra fat laces, nike ID card.